One of Chel's lasting influences were the tattoos that were created. This picture was taken the day before her birthday, June 8th, 2002. 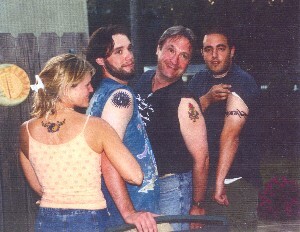 Deb, Michael, Jay, and Chip all got tattoos in her memory. Michael's recent NZ addition. 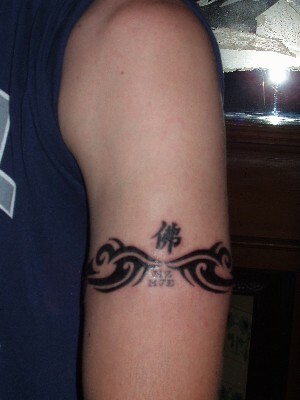 Notice the redness around the tattoo. It's a pretty painful experience. 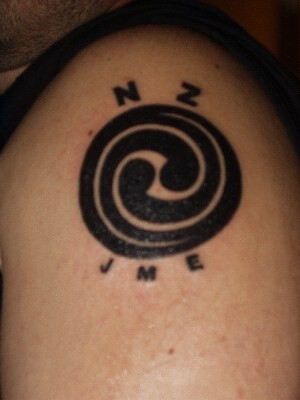 This the tattoo Jay got in New Zealand. JME stands for Jay, Michael, and Ethan. The NZ is self explanatory. 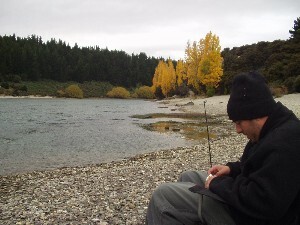 Jay fishing in during their tour of the South Island.